China won’t allow problems during its transitional period to affect the world, Premier Li Keqiang pledged at the Summer Davos forum on Sept 10. China is willing to further political mutual trust and pragmatic cooperation with the Caribbean country, Premier Li said. Premier Li expressed his hope to expand the two countries’ cooperation in the development of the Far Eastern region. 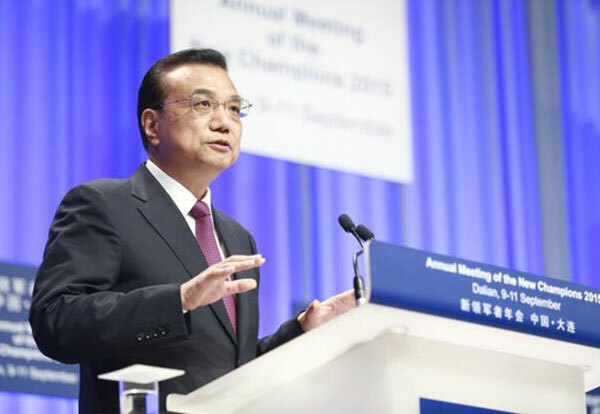 Premier Li highlighted innovation and entrepreneurship as a key growth driver for China at the Summer Davos Forum. China’s reform is a gradually opening-up process — being more integrated into the world, Premier Li said in his speech at the opening ceremony of Summer Davos 2015. 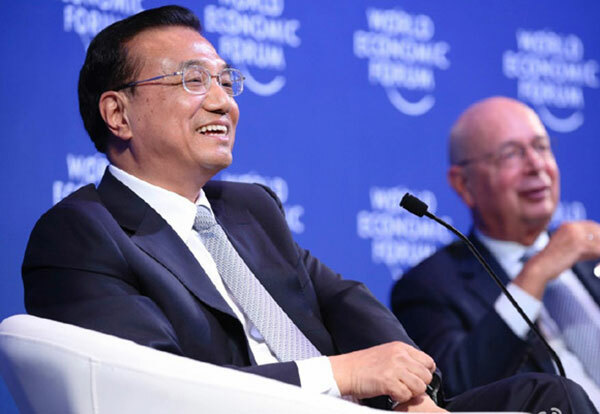 Premier Li Keqiang met with Klaus Schwab, the president of the World Economic Forum at Summer Davos Forum in Dalian. Premier Li said that China, not the source of the world’s economic risks, can be a source of power to drive the world’s economy. China’s government debt risks are “controllable,” Premier Li said as he met with business leaders ahead of Summer Davos Forum. If one follows the footprints of the Premier’s inspection tours, it is obvious he attaches great importance to entrepreneurship. Premier Li Keqiang has urged local governments to enhance support for mass entrepreneurship and innovation to add new impetus to the country’s growth. Premier Li Keqiang took an inspection tour of Dalian, with a focus on upgrading industry, innovation and entrepreneurship. The Annual Meeting of the New Champions 2015 of the World Economic Forum, also known as Summer Davos Forum, closed in Dalian on Sept 11. A group of robots are displayed at the Summer Davos Forum in Dalian, Northeast China’s Liaoning province. Robotics is the key topic at the forum this year. The speech of Premier Li at the Summer Davos forum last week in Dalian, China, sent a clear message about China’s sustainable development, a Mexican expert has said. Foreign guests share their views on Premier Li’s speech at the opening ceremony of the Annual Meeting of New Champions 2015 in Dalian on Sept 10. Foreign media has reversed its pessimistic reports about China’s economy since the opening of the Summer Davos on Sept 9.